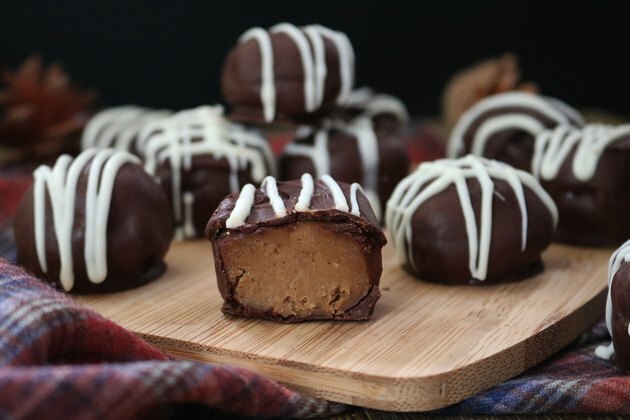 If you love gingersnap cookies, you'll adore this gingersnap cookie truffle recipe. 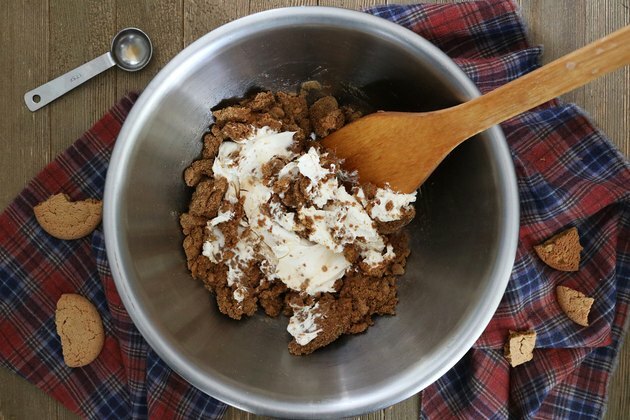 It calls for simple ingredients like gingersnap crumbs, cream cheese and spices. Together, they create a flour-less, dough-like filling that's hard to resist. You can also take it up a notch and add even more spices for a stronger flavor. And, like most truffle recipes, the finished product looks fancier than it really is. This easy holiday recipe is perfect for parties, potlucks and gifts! 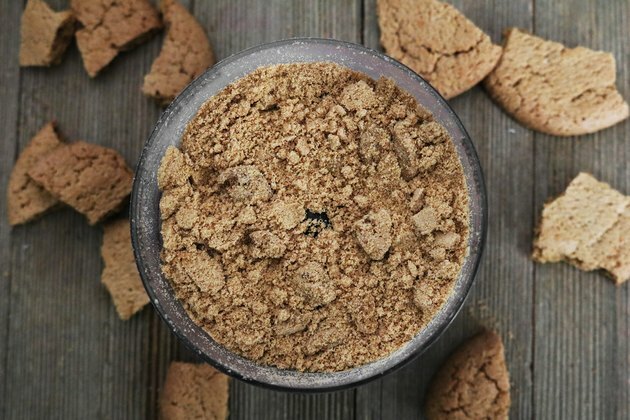 Crush the gingersnaps into crumbs. You can do this with a coffee bean grinder, high-powered blender or food processor. The compact space of a coffee bean grinder and blender is ideal for crushing cookies. However, you'll have to work in batches. On the other hand, if you use a food processor, it might just toss around the cookies in the open space. Feel free to experiment according to your preference and the equipment you have on hand. 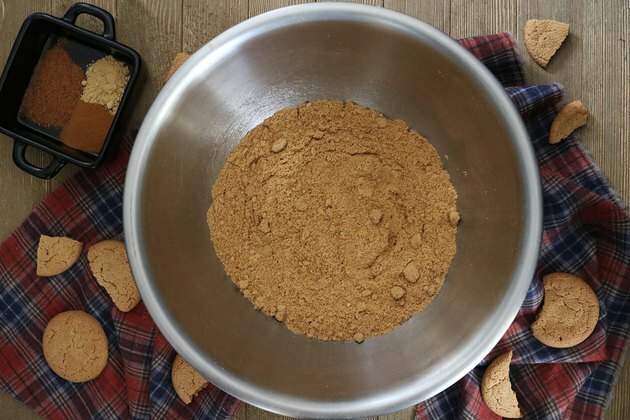 In a large bowl, combine the gingersnap crumbs with cinnamon, ginger and nutmeg. Mix well. For an extra kick, add more spices. Add the softened cream cheese and vanilla extract. Mix well. 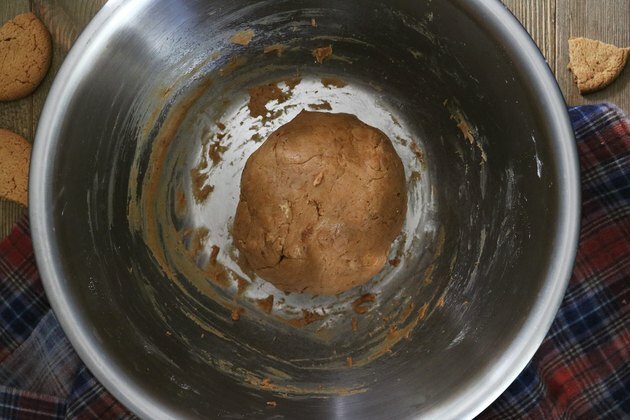 Continue mixing until the ingredients form a dough-like consistency. You should be able to form a large ball. 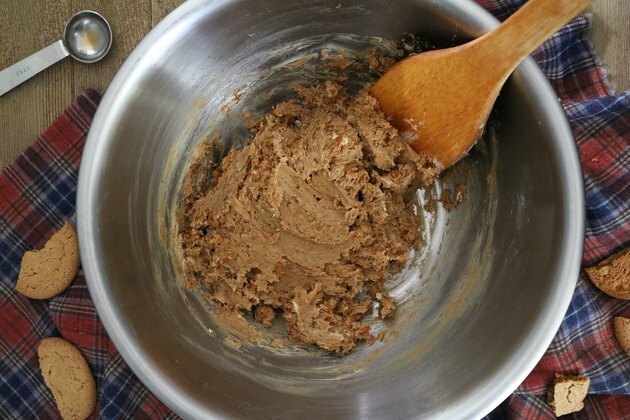 If the mixture is too crumbly, add more softened cream cheese or butter, one tablespoon at a time. 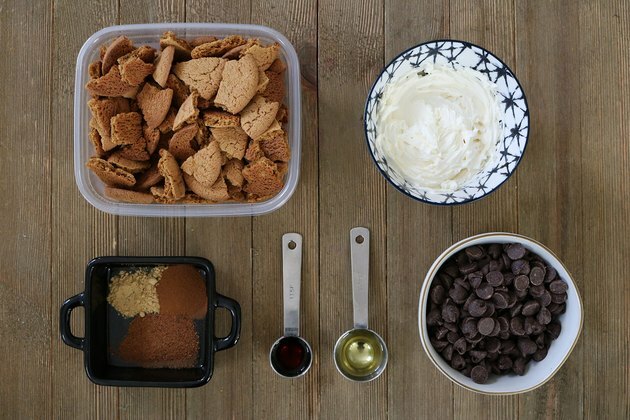 If it's too creamy, add more gingersnap crumbs. With clean hands, roll the dough into 18 balls. Each one should be about the size of a standard meatball. Place on a metal baking sheet lined with parchment paper. Chill in the refrigerator for at least 30 minutes. Meanwhile, melt the chocolate chips. Fill a small pot about 1/3 full with water. Bring to a boil, then reduce to a simmer. Place a stainless steel bowl on top of the pot, making sure the bottom does not touch the water. Place the chocolate chips and oil in the bowl. Stir occasionally until melted and smooth. Keep an eye on the chocolate. Make sure it doesn't bubble or burn. 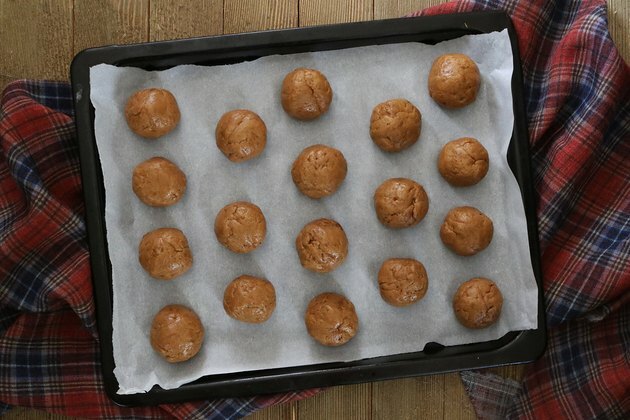 Insert a toothpick into each gingersnap ball. 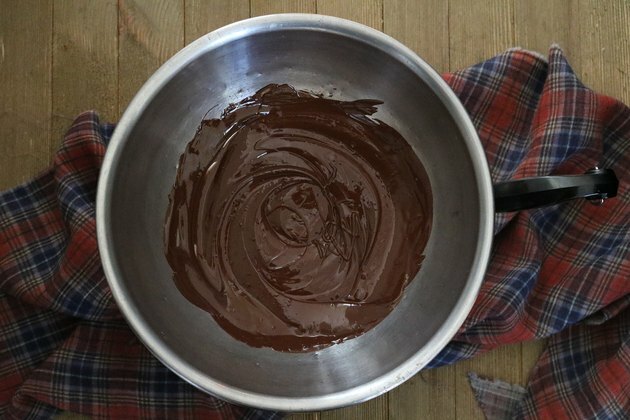 Dip into the melted chocolate, making sure to cover all sides. Return to the parchment-lined baking sheet. You can use a second toothpick to push the truffle off of the first toothpick. Repeat with the remaining truffles. Let the chocolate set completely. 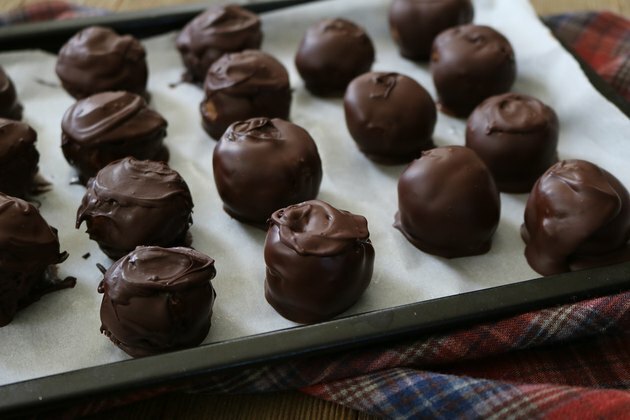 To speed up this step, pop the truffles in the refrigerator. The truffles are ready to eat once the chocolate has set. You can leave the truffles as they are, or decorate them. One idea is to drizzle melted white chocolate on top. For one batch of truffles, 1/4 cup of white chocolate chips is enough. 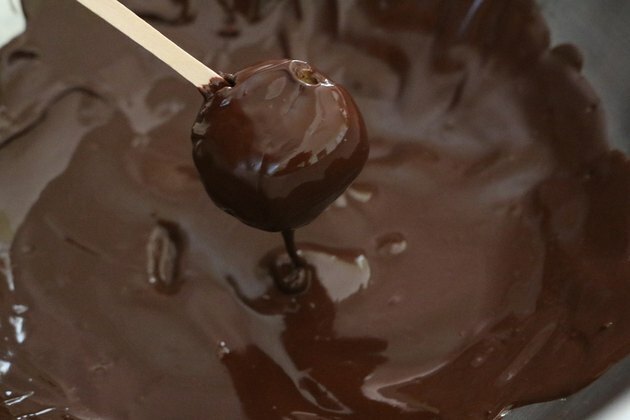 Once melted, place the white chocolate in a plastic sandwich bag, cut off the tip and drizzle onto the truffles. You can also use microwavable candy melts and a piping bag. For a more festive touch, add sprinkles or edible glitter before the chocolate melts. 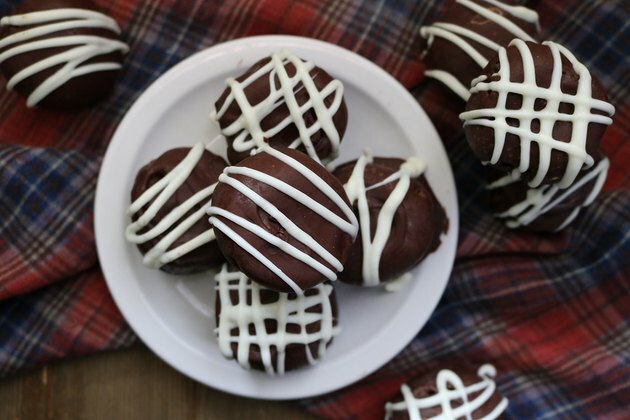 The possibilities are endless with these sweet and simple treats!